Some 60,000 facilities used by the public, such as hospitals and traditional marketplaces across the country, will undergo safety checks starting next week, the government said Friday. 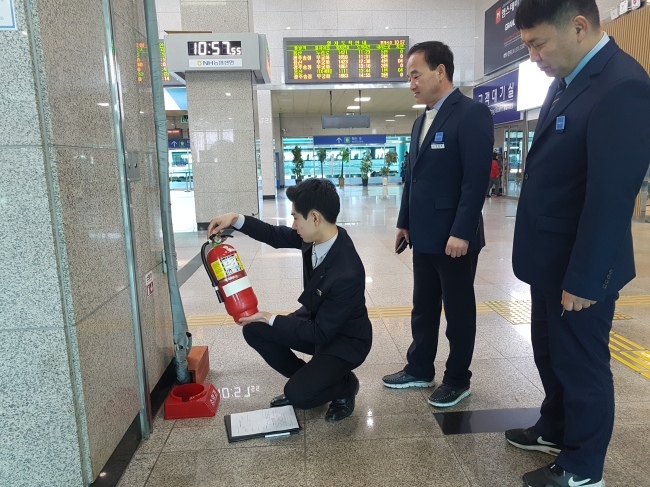 The inspections come amid heightened safety concerns after two deadly fires claimed dozens of lives at a hospital in Miryang, South Gyeongsang Province, last week and at a fitness center in Jecheon, North Chungcheong Province, in December. The 60,000 establishments categorized as “high-risk facilities” include small- and medium-sized hospitals, nursing homes, flophouses, postnatal care centers, public bathhouses and traditional marketplaces. Starting with traditional marketplaces ahead of the Lunar New Year holiday, government officials and experts will conduct inspections for two months until March 30. The government finalized the plan during a video conference of local government chiefs presided over by Prime Minister Lee Nak-yon on Friday. For each facility inspected, inspectors will be given a checklist of 20 to 30 items from local governments, which they will file and submit under their names. A second round of safety checks will be conducted randomly to verify the initial inspections. Those found to have made poor or false safety reports will be punished under related rules, the government said. Local governments will handle any necessary repairs or reinforcement works using their disaster management funds and fire safety subsidies. For local governments that invest heavily in safety inspections, repairs or reinforcement works, the Ministry of Interior and Safety plans to provide financial assistance using its 20 billion-won special subsidy tax revenues. After the inspections, the government will follow up on whether the managers of the facilities have redressed the safety problems as ordered by the inspectors. The government also plans to revise rules to allow public access to the results of the safety inspections via the ministry’s website.